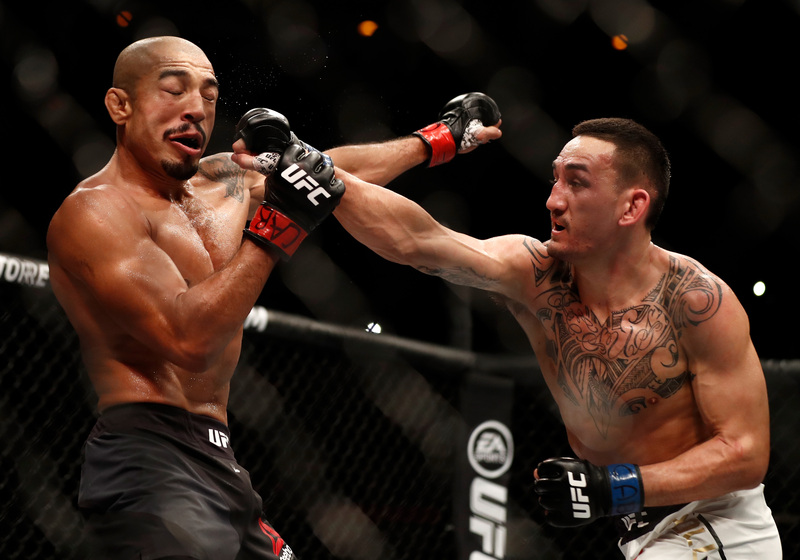 Max Holloway vs Jose Aldo UFC 218 Dec 2, 2017 (34:27) Max Holloway vs Jose Aldo UFC 218: Holloway vs Aldo 2 from December 2, 2017 in Detriot, Michigan. Max Holloway vs Jose Aldo UFC 212 Jun 3, 2017 (26:38) Max Holloway vs Jose Aldo UFC 212: Aldo vs Holloway from June 3, 2017 in Rio de Janeiro, Brazil. 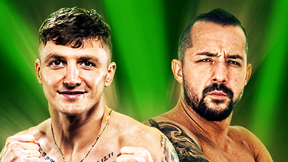 Max Holloway vs Ricardo Lamas UFC 199 Jun 4, 2016 (29:01) Max Holloway vs Ricardo Lamas UFC 199: Rockhold vs Bisping 2 from June 4, 2016 in Inglewood, California. 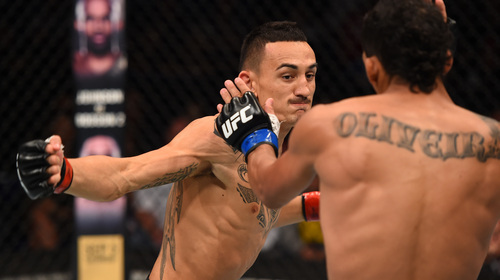 Max Holloway vs Charles Oliveira UFC Fight Night Aug 23, 2015 (18:02) Max Holloway vs Charles Oliveira at UFC Fight Night: Holloway vs Oliveira from August 23, 2015 in Saskatoon, Saskatchewan, Canada. 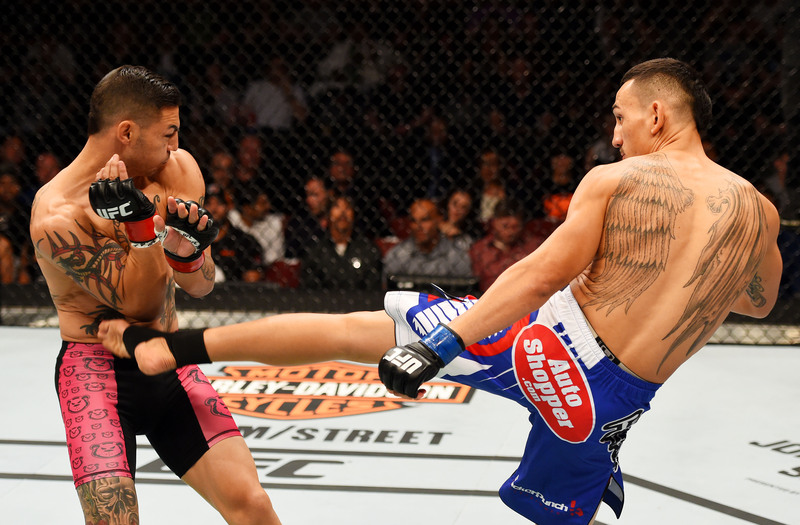 Max Holloway vs Cub Swanson UFC Fight Night Apr 18, 2015 (21:34) Max Holloway vs Cub Swanson at UFC Fight Night: Machida vs Rockhold from April 18, 2015 in Newark, New Jersey. 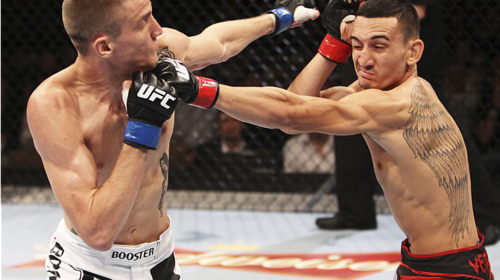 Max Holloway vs. Cole Miller UFC Fight Night Feb 14, 2015 (21:18) A UFC mainstay dating to 2007, Cole Miller made his 17th UFC appearance. 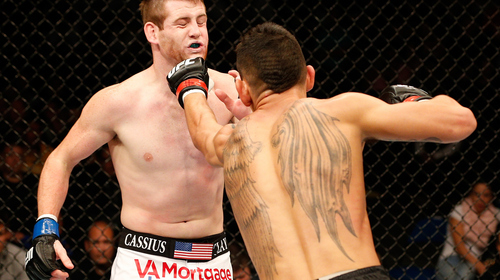 He faced one of 2014's breakout stars, Max Holloway. 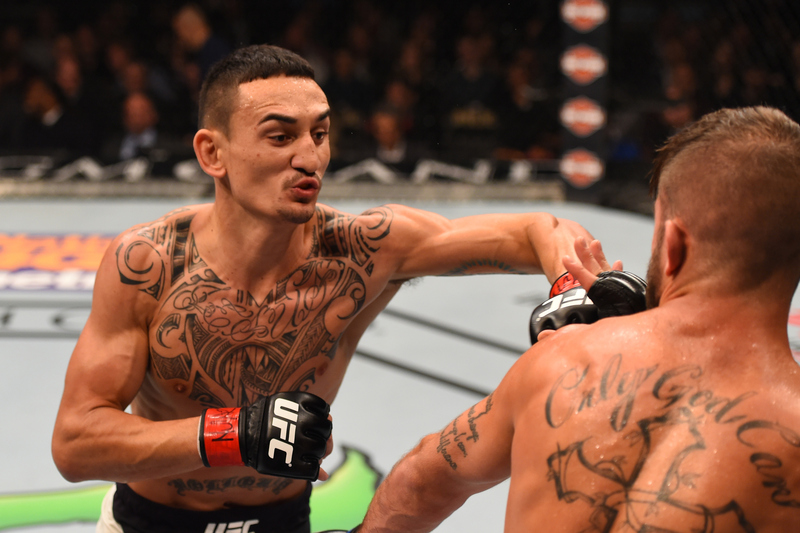 Max Holloway vs. Akira Corassani UFC Fight Night Oct 4, 2014 (13:13) Akira Corrassani returned home to Sweden and took on rising challenger Max Holloway in the co-main event. 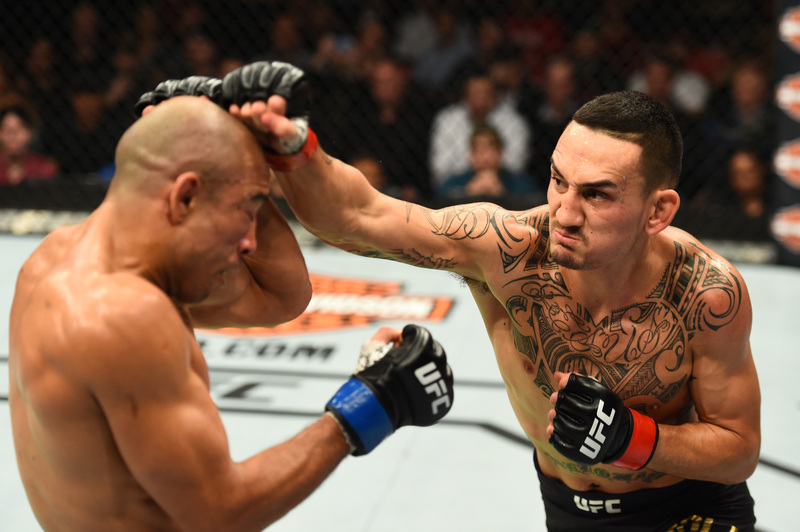 Max Holloway vs Clay Collard UFC Fight Night Aug 23, 2014 (23:59) Rising stars Clay Collard and Max Holloway attempted to move further up the 145-pound ladder in this epic showdown. 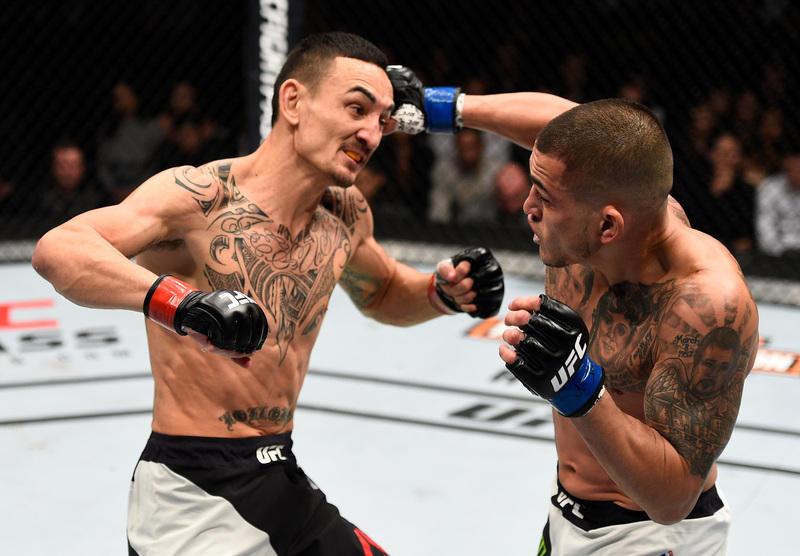 Max Holloway vs. Andre Fili UFC 172 Apr 26, 2014 (26:34) Two of the youngest fighters on the UFC roster, 23-year-old Andre Fili and 22-year-old Max Holloway were bright stars on the rise in the featherweight division, with their exciting styles guaranteed to deliver an all-action showdown. 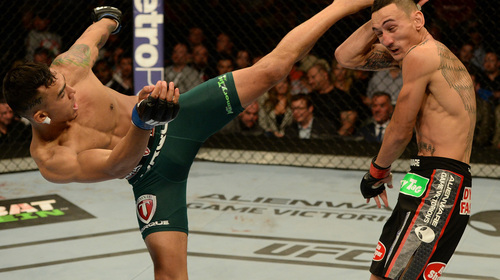 Max Holloway vs. Will Chope UFC Fight Night Jan 4, 2014 (17:23) At 6-foot-4, UFC newcomer Will Chope was one of the tallest fighters in featherweight history. 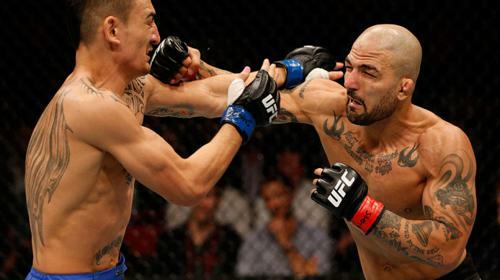 He would have his hands full in his Octagon debut against 22-year-old Max Holloway, a talented prospect who had already fought names like Dustin Poirier, Leonard Garcia, and Conor McGregor. 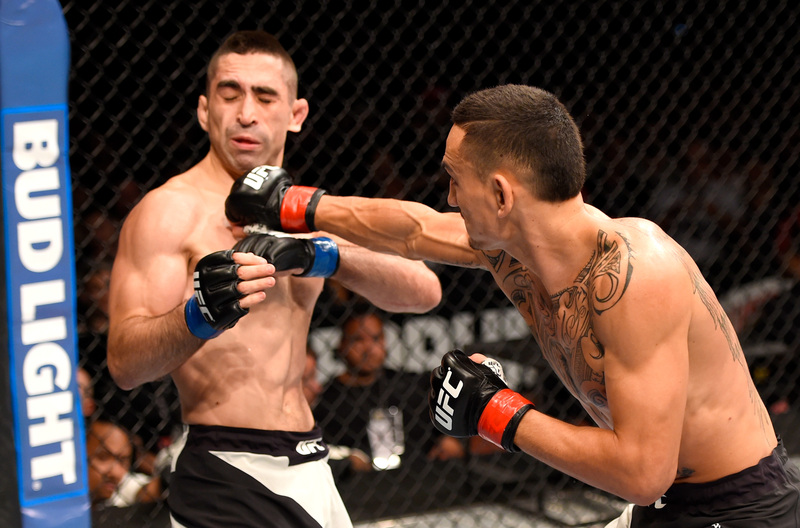 Leonard Garcia vs. Max Holloway UFC 155 Dec 29, 2012 (26:59) With the featherweight division getting more stacked by the minute, every fight was a pivotal one at 145 pounds. 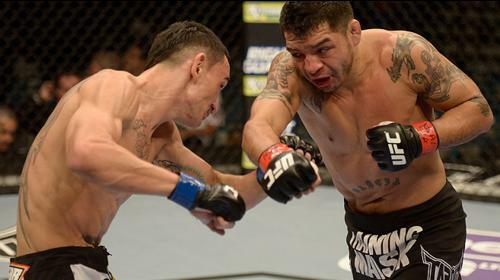 At UFC 155, young Max Holloway and WEC vet Leonard Garcia clashed in a bout guaranteed to have compelling action from start to finish. Max Holloway vs. Justin Lawrence UFC 150 Aug 11, 2012 (21:32) For years, mixed martial arts was seen as a sport for the combat sports veteran, one that wouldn’t hit his prime until his thirties. 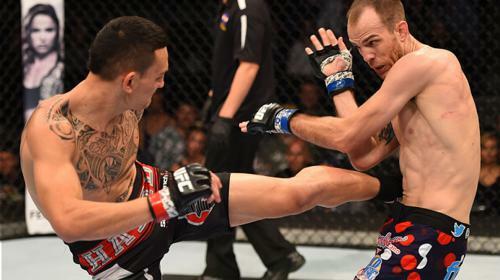 However, at UFC 150, 20-year old Max Holloway and 22-year old Justin Lawrence made their case for the young guns of MMA. 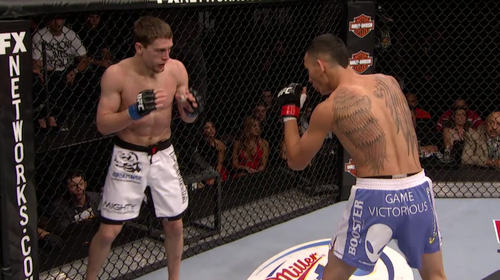 Max Holloway vs. Patrick Schilling TUF 15 Finale Jun 1, 2012 (22:50) In a matchup of young prospects looking to rebound from disappointing debuts, Max Holloway and Patrick Schilling squared off desperate to get a win.